I think Spring is here early this year and I'm delighted. I'm hoping later this week to go through my closet and put my winter wear in storage and take out my summer clothes. It's always exciting to open my storage boxes and see what is in there since I forget what I have and it's kind of like a very early Christmas in Spring. 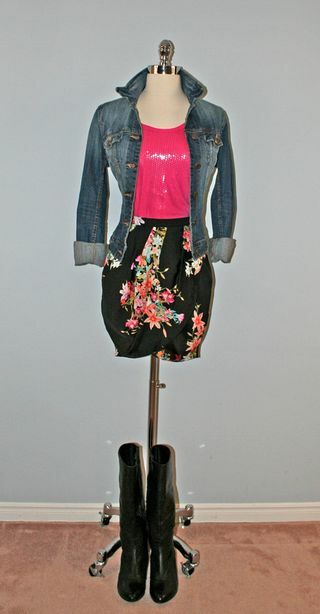 This outfit is a great transitional piece going into to Spring. On a day like today I could easily go without the jacket. The boots are ideal for the pop-up Spring showers we've been getting lately.